Cabbage is good for you so why not eat it up! It's also inexpensive, packed with flavor and easy to prepare. Whether it's slow baked, sautéed, roasted, stuffed or shredded, I'm sure you'll find some inspiration in the list of these 12 trusted cabbage recipes I've gathered for you. I just bought a head of Chinese cabbage and a red one and I'm ready to get fit and pretty for our next summer vacation. I have 12 weeks until our family getaway to Cancun, Mexico (we spent our 5th wedding anniversary there). Controlling your diet can be fun too; it doesn't have to mean food should taste bland or be without great texture. 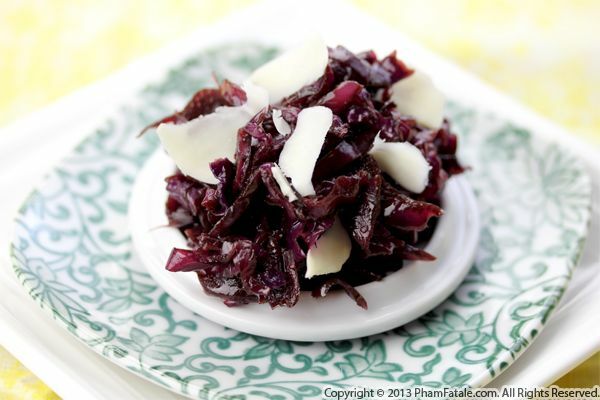 Now I'm excited to create more nutritious dishes with the humble cabbage! My friend Hadas is pregnant with her second child and is about to give birth in a few days. Unfortunately, she became sick because of the cold weather. 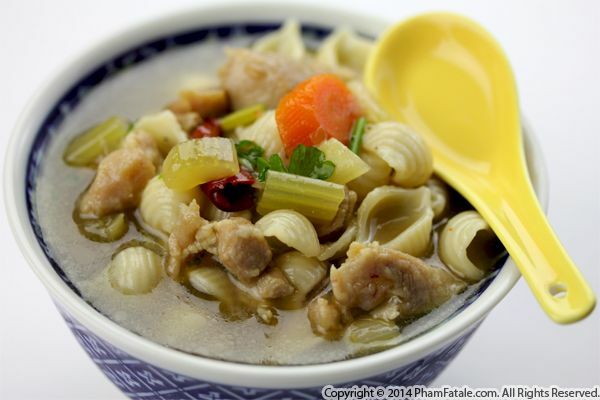 Since some medications can be dangerous during pregnancy, I offered to prepare chicken noodle soup with healing spices used in traditional Chinese medicine, such as turmeric, ginger, onion and red chiles. My way of making the broth flavorful is to first sauté small pieces of chicken with garlic and red chiles, then deglaze the bits fromt he bottom of the pot with liquid to capture as much flavor as possible. I also added common vegetables (celery and carrots) to complete the soup. Hadas confirmed the soup helped soothe her sore throat. I also want to thank all of you who stopped by this weekend during my booksigning event at Barnes & Noble Eastridge Mall in San Jose. I had such a blast. Happy holidays! 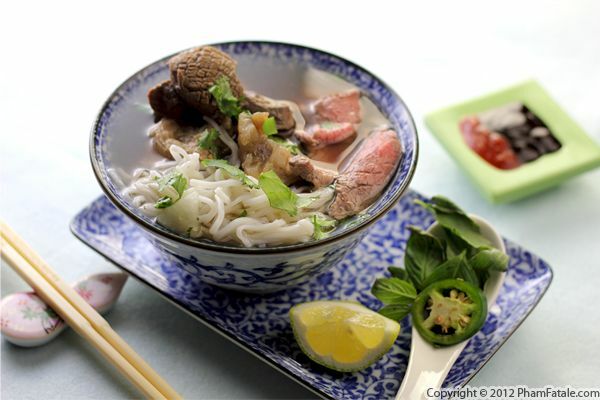 In my opinion, a large bowl of warm rice noodle soup is the perfect, healthy comfort food. It's soothing, filling and gluten-free. Of course, a must-try is phở bò, which is my all-time favorite soup. I've listed many options for you to try this fall season. I haven't never taken baby Aria to a pumpkin patch yet. I'm planning on taking her soon. I'm sure she will enjoy the scent of fresh straw and the endless plot of pumpkins. I wonder what type of pumpkin she will select. We'll probably pick many so we can turn them into delicious fresh pies, pancakes and sweet bread for the upcoming holidays. 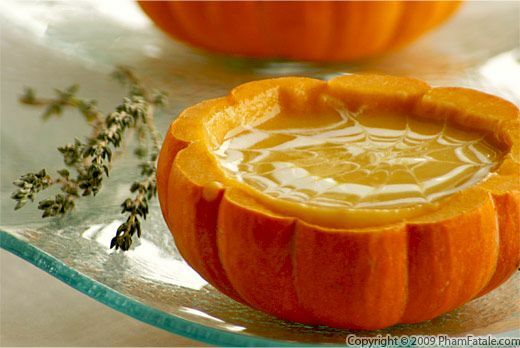 In the meantime, I've gathered a list of savory dishes flavored with the deep-orange squash plant. I hope you will find plenty of inspiration in this post. I hope Aria has a lot of fun. I heard our local pumpkin patch has an inflatable bounce house and slide; that alone will probably amaze her. Even though the weather seems very warm these days in the Bay Area, summer is gone and fall is definitely in the air. Page 18 of 18 pages.